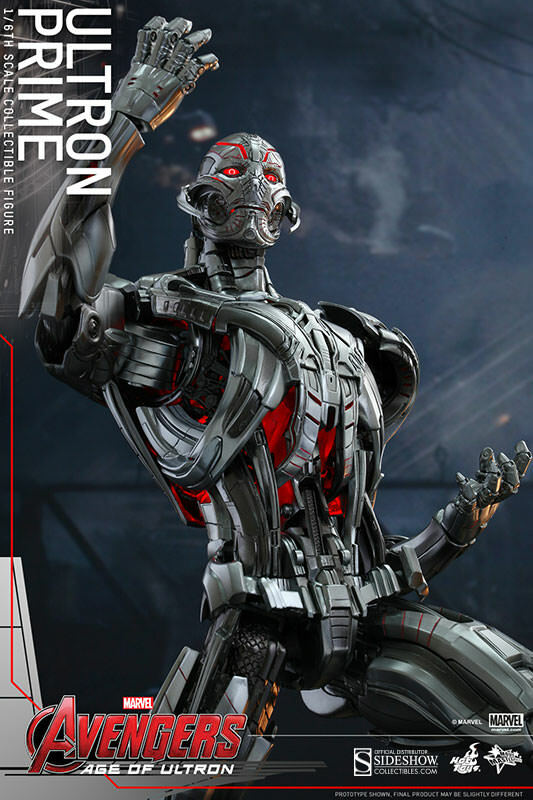 In the first official look at Marvel's Avengers: Age of Ultron, the film's titular villain, Ultron, makes a menacing appearance and memorable speech that has left fans wondering how the Earth's mightiest heroes can stand up against this highly dangerous robot and its army. Sideshow Collectibles and Hot Toys are very excited to present the eagerly anticipated Ultron Prime Sixth Scale Collectible Figure. 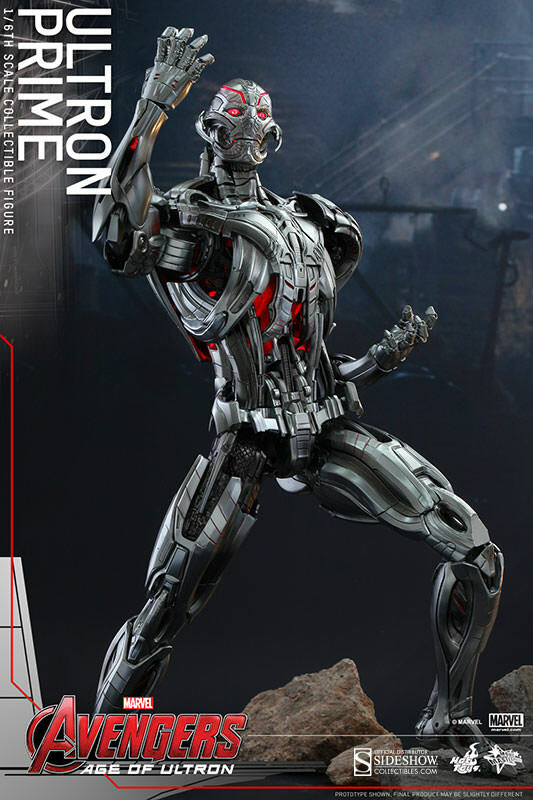 The movie-accurate collectible figure is specially crafted based on the image of Ultron Prime in Avengers: Age of Ultron. 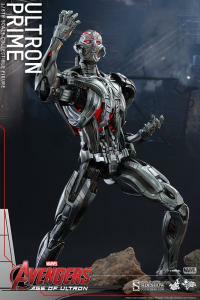 It stands approximately 41 cm tall and features a newly developed head sculpt and body with mechanical details, LED light-up head and upper body, and a specially designed Avengers: Age of Ultron logo figure base with LED light-up function! 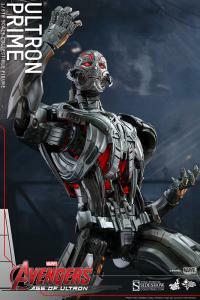 Don't miss adding this threatening villain to your Avengers: Age of Ultron collection! (c) 2015 Marvel. 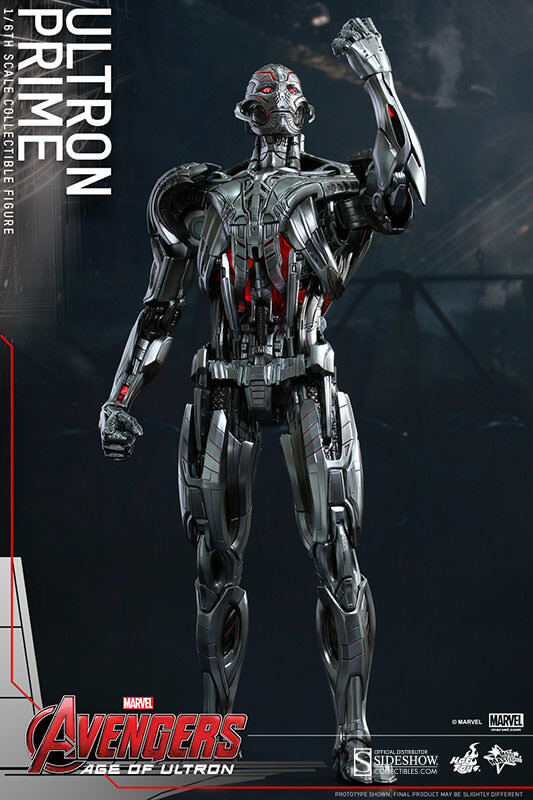 (c) 2015 Hot Toys Limited. All Rights Reserved. Great likeness and detail. LED'S give it a real look just like in the movie. Very happy with this addition. Looks great next to Thanos. I think he is one of the better sixth scales, not as good as Thanos but come on. 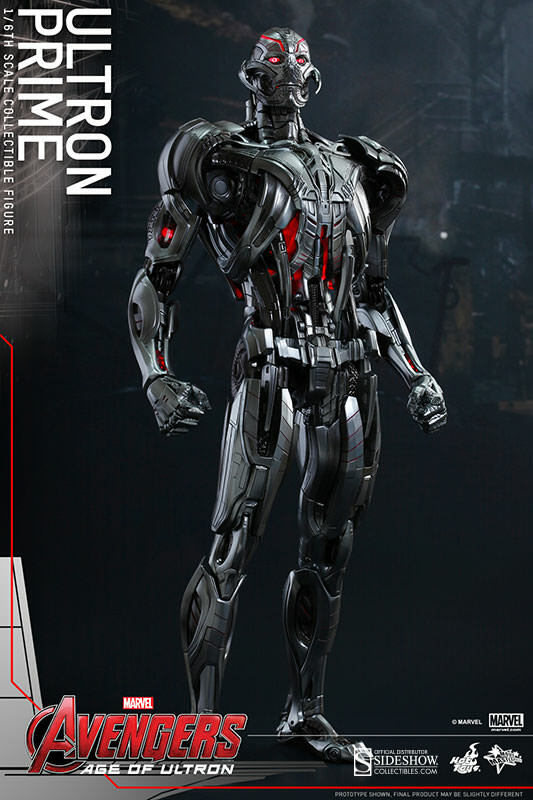 The battery thing is annoying but once you get him up he's cool. Had to putty his feet on the stand for support. 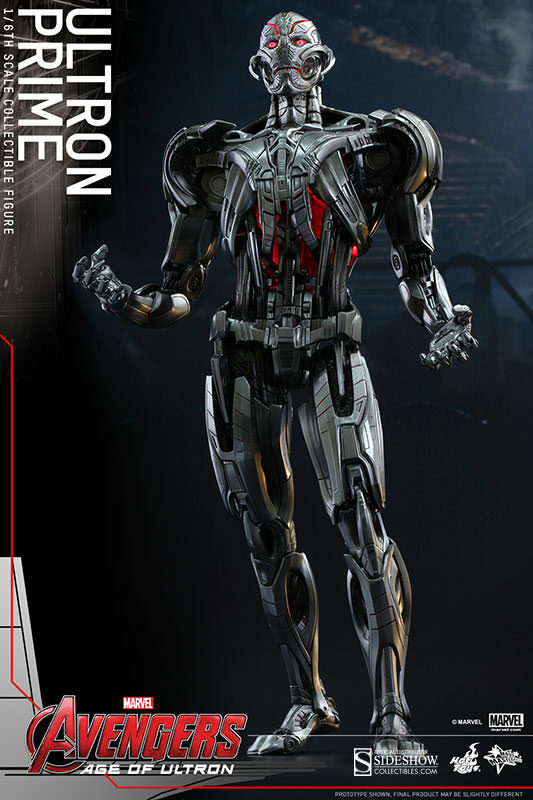 This is a superb specimen of Ultron! Unbelievably likeness and it's a massive figure. I'm absolutely loving the light up features on this figure and the base is extraordinary. Thank you Hot Toys and Sideshow for always adding value to my collection. Thin Line Between Love & "Hate"